Fighting for freedom provides you some great benefits when you come home from war. Click here to learn about the VA home loan process. If you think that buying a home is too expensive, you’re not alone. Only 39% of millennials are able to afford the 20% required for a down payment. With most of them putting down the bare minimum to get into a home. Inflated markets, stale wages, and low inventory are all major contributors to this. Add in time spend serving your country, and the idea of buying a home goes up smoke. But wait, we have some good news for you! Fighting for freedom provides you with some great benefits when you come home from war. Click here to learn about the VA home loan process. The purpose of the Veteran Affairs Department is to assist service members, veterans, and their eligible spouses. One way they do this is to guarantee home loan benefits. This helps our veterans buy homes for their own families after they’ve served our country for a certain amount of time. 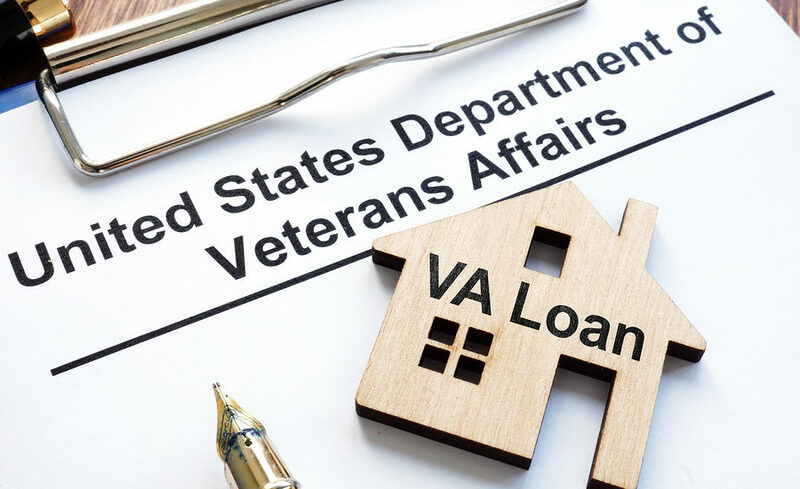 The VA loans are provided by the banks and mortgage companies that you choose to work with, but they’re backed by the VA. The VA guarantees the loan, making it possible for the lender to provide better terms and benefits. A VA loan is the best loan program for our veterans. It allows for home purchasing opportunities that would otherwise be non-existent to those struggling to find financing. There are many advantages to VA loans. The biggest one being there is no downpayment required. On the other hand, traditional loans require at least 10% down. This means if you try to get a traditional loan, you need a large chunk of money already saved to get into a home. With a VA loan, you don’t need to bring any money to the table. Another advantage is there aren’t private mortgage insurance premiums. Most home buyers need to pay for private mortgage insurance. VA loans only require an annual mortgage insurance charge which ends up saving a lot of money. Some feel that after not having a down payment, the fact you don’t have to be a first-time homebuyer is the second biggest benefit. What’s the VA Home Loan Process? Now let’s dive into how to get started. For the most part, A VA loan is processed very similarly to a regular loan. There are only a few extra steps required for a VA loan. The very first thing you need to do is determine your eligibility. To do this you must apply for a Certificate of Eligibility through the eBenefits portal. Once you have your Certificate of Eligibility, you don’t need to apply again if you need other VA services. Contact several banks and mortgage brokers to see who has a good knowledge of VA loans. Read reviews, ask your family and friends for recommendations, and compare different loan offers. Don’t forget to ask about their fees. Once you have found a lender you’d like to work with, they’ll help you get pre-approved. Being pre-approved is important to many sellers. It shows that you’re serious when it comes to buying a home. Once you’re pre-approved, you’ll know what price range you can look in. If you’re feeling overwhelmed, it may be helpful to hire a real estate agent to help you navigate the housing market. Finding the right agent is important. Find one who is experienced, communicates openly, and has your best interest in mind. Asking for referrals and interviewing a few different agents will help find the real estate agent who will represent you best. After you find the perfect home, your real estate agent will help you write up an offer. This is where an agent is particularly helpful as there may be some negotiations with the seller to come up with a final price. Once the price is established, a purchase agreement will be written and signed. But, that doesn’t mean the sale is final. There are still a few things that could fall through, but you’re definitely getting closer to being a homeowner. It’s important to get an appraisal of the home as it’s required by law. This will let you know if the home is being sold for a fair market price. The lender will hire a third-party company to perform the appraisal of the home. They’ll give a professional opinion on the value of the home. For VA loans, a VA-approved appraiser has to be used. Inspections aren’t required but are usually a good idea. An inspector will walk through the house and make sure everything is in working order. Buyers are responsible for hiring a qualified inspector. They’ll help you determine if the home has any maintenance issues so there won’t be any surprises after you move in. Closing is when the home is funded through your VA loan. Closings usually happen at the title company or escrow office. There will be a lot of papers to sign. Don’t hesitate to ask questions. You shouldn’t sign anything that you aren’t clear about. Once the loan is finalized, you can get your keys and move in! Don’t forget to make a toast for being a new homeowner! For many people, owning a home has always been a part of the American dream. But, with many hurdles and obstacles in the way, it’s not as easy as it should be. VA loans will help you realize that dream. We’re here to help with every step of the VA home loan process. So don’t hesitate to contact us today! Let’s get you that home of your dreams.